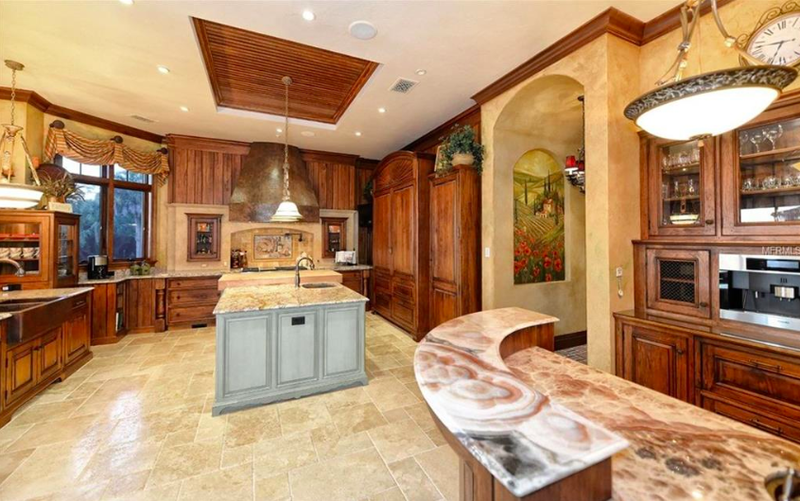 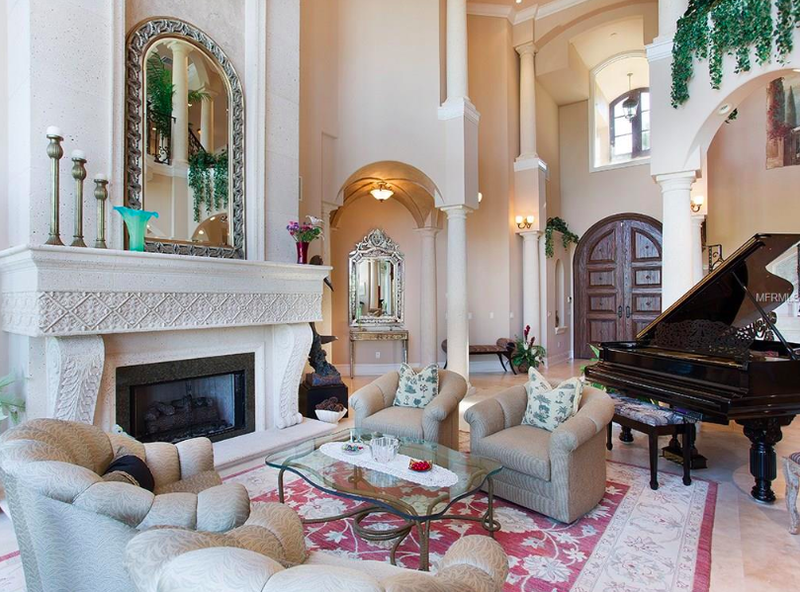 This Mediterranean mansion, built in 2010, is on the market for the first time. 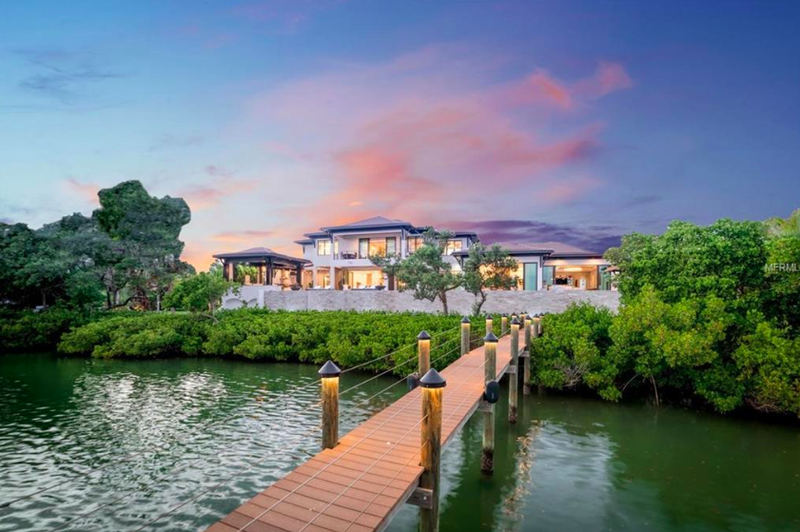 What does $6 million buy you on the Sarasota mainland? 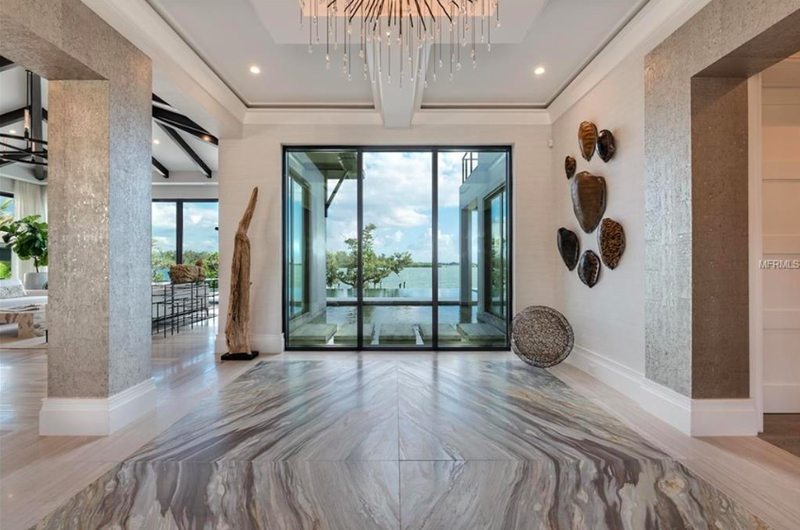 1.6 acres of oak-canopied bayfront land and nearly 7,000 square feet on luxury in two structures, a main home and a guest casita. 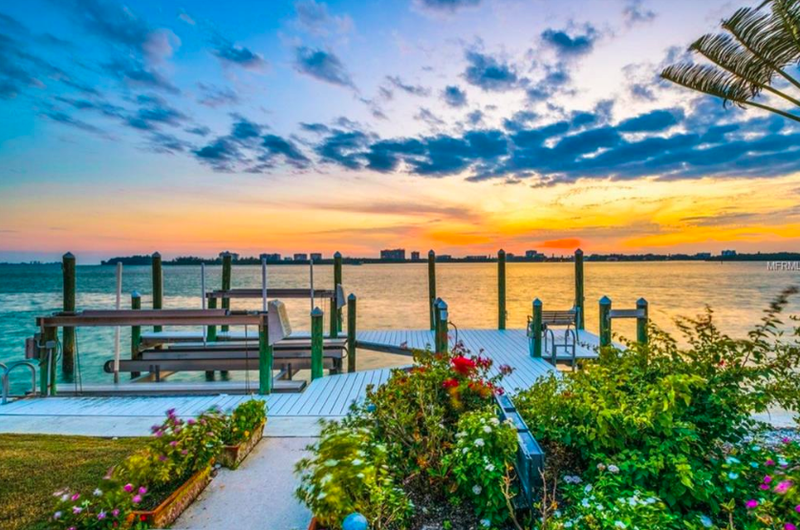 Conveniently situated between downtown and the Ringling museum in the waterfront neighborhood Bay Park, this home has an electric dock & lift right on Sarasota Bay. 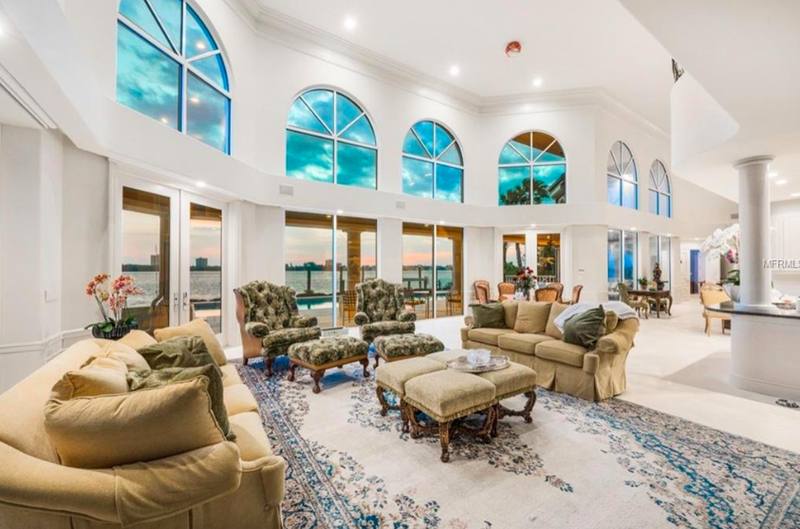 Located on a premium lot on Bird Key, this west-facing house gets the gorgeous sunsets that Sarasota is known for, visible from the large 50' bayfront pool. 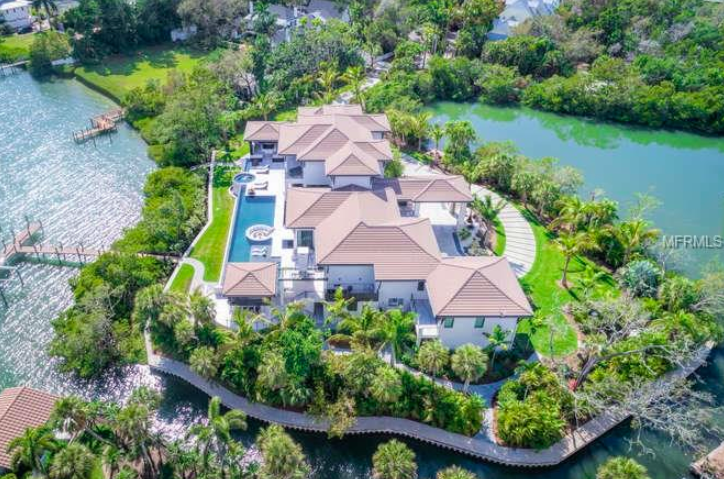 Bird Key in general is boater's paradise, with many waterfront homes and a lot of options for boat dockage, including the Key's Yacht Club or personal docks on all the waterfront homes, but this lot specifically is located on some of the deepest water, with zero bridges to the Gulf of Mexico. 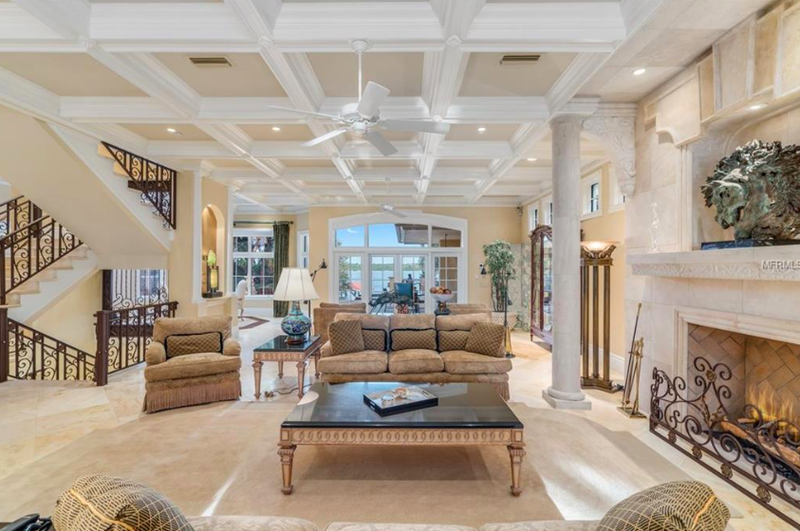 The lush lot frames an absolutely elegant waterfront mansion, with 5 en-suite bedrooms, a gourmet kitchen, and positively palatial ceiling height and footprint.